Chop, stack or carry firewood without beating up your hands. These men's work gloves are made of cotton duck with suede cowhide palm and knuckle protection. A brushed lining and insulation keep hands warm and comfortable, and a safety cuff for easy on and off throughout the day. Great glove! Big, toasty and bulky—not great for delicate work! I use often around firewood pile and my hot wood stove. 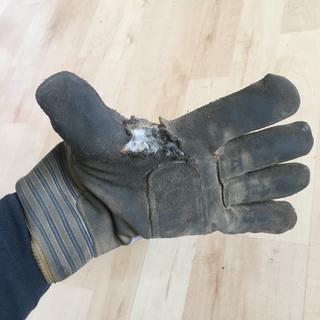 My husband is a welder, will these gloves be okay for that type of work? BEST ANSWER: We do not recommend any of our gear for welding. I doubt it. 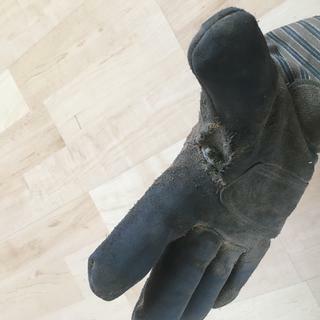 You need to search for welder's gloves. What is the toughest, most durable material available for work gloves? I handle a large amount of firewood which is very tough on gloves. BEST ANSWER: We do not rate our gloves for durability, but the A515 or any of the similar suede work gloves are extremely tough and should be great for handing firewood.